The first benefit happens on Saturday (10/18) at Roulette in Brooklyn and features John Zorn, Eric Slick (Dr Dog), Steve Coleman, Marc Ribot, Matana Roberts, Henry Grimes, Marina Rosenfeld, Brandon Seabrook, Satomi of Deerhoof, and more. Tickets are on sale. 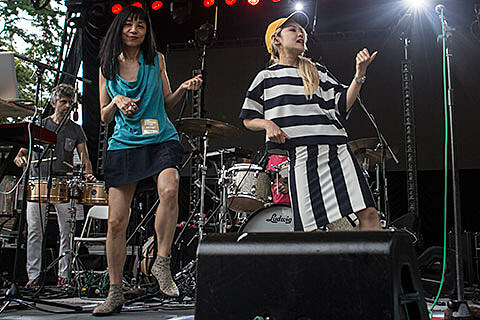 Then on Sunday afternoon (10/19) at Le Poisson Rouge there’s a rally featuring Rosanne Cash, Yuka Honda and Miho Hatori of Cibo Matto, Wesley Stace, Marc Ribot, Marcus Rojas’ Brass ensemble, Ava Mendoza and more TBA. That starts at 2 PM and is free.